The New International Commentary on the Old Testament is a conservative and scholarly treatment of the sciptures. 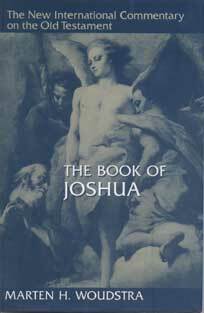 This volume on Joshua by M.H. Woudstra begins with an introductory section which discusses the authorship, date, unity and theology of the book. The commentary is an in- depth analysis of the text based on linguistic and historical research. A good work for scholars.